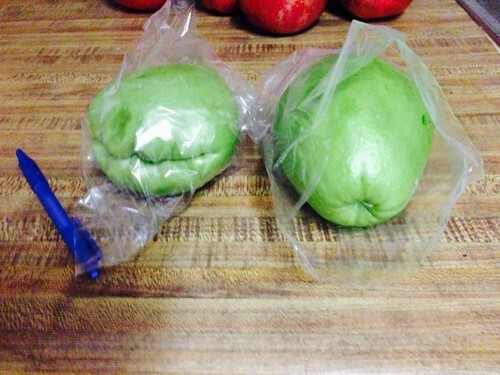 Okay, this has nothing to do with the produce I bought. 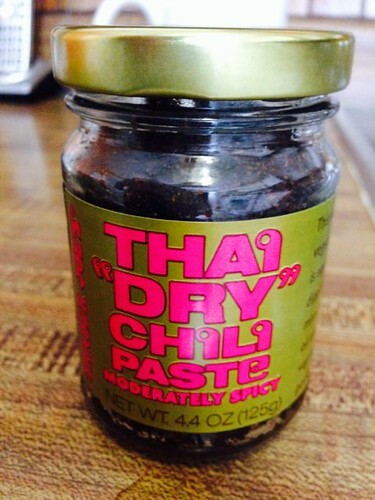 I bought this jar of chili paste a while back. I didn’t know what I’d do with it. In fact, the cashier at Trader Joe’s said she would have no idea what to do with it. I was kind of hoping it’d be some sort of substitute for the curry paste I’d been buying – that had shellfish in it. Last time I went to Trader Joe’s, I decided to try a few new things from the produce aisle, including a pomegranate. I’ve had pomegranate before – pomegranate-flavored Greek yogurt, pomegranante and blueberry breakfast cereal, even pomegranate in a salad. 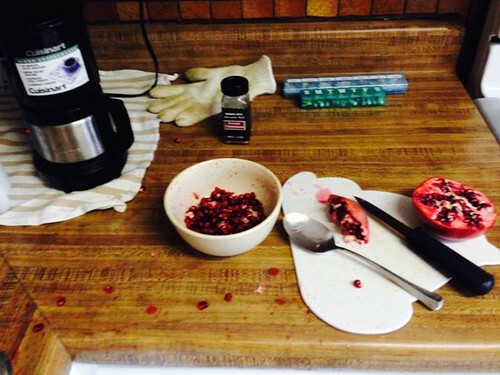 However, I’ve never actually purchased and prepared a pomegranate. A friend had posted this YouTube video on Facebook recently, which made it seem possible for even someone as clumsy as me to prepare one. A friend recently chastised me for publishing photos of my food on Facebook. Coincidentally (?) another friend posted a list of “losers” on Facebook – one category of which was the loser that photographs their dinner. I guess not everyone is interested in food. I am. I’m interested in food ALL THE TIME. I’m especially excited about food when I’m going to the effort of eating “real” food – food that actually has an expiration date and/or is created by nature. However, given the limited interest my pictures of food seem to generate on Facebook, I’ve decided to put them on my blog! Because, let’s face it, my blog is all about me and what I am interested in! In that vein, I’ll start with my trip to Tony’s Finer Foods last night. I went late, after work, because I knew snow was in the forecast and I’d be too lazy to shovel the alley so I could get my car out of the garage for a trip this weekend. Plus, I have two new FAVORITE things, one of which seems only available in “fresh” form at Tony’s. I grew up in small town Nebraska, where my exposure to “produce” seemed limited. On occasion I get adventurous and try various items available in the “big city”. Tony’s has a particularly diverse produce section, due in part to the large Hispanic and Korean population in this area.